Are you following a strategy to increase ecommerce site traffic, or are you shooting in the dark? In this guest post, Courtney McGhee outlines proven ways to get more web visitors. So you’ve created your ecommerce site and you’ve set up your social media profiles. Why isn’t your audience flocking to your site, cash in hand? The truth is, creating your website and social presence is only the first step toward generating traffic. Your strategies on these platforms will ultimately determine the amount of traffic that lands on your pages. You need to invest time, create relationships and sometimes even invest some money if you want to boost your numbers. In this guide, I’ll show you proven ways to drive ecommerce site traffic. Setting a clear, attainable goal should be the first step if you want to increase your traffic. Marketing strategies can be overwhelming if you don’t first determine what your goal should be. First, decide how much annual revenue you are looking to earn. Let’s look at the example of $350,000. Next, divide your total annual sales by the value of your average order. Let’s say your average order costs $50. This calculation gives you the number of annual orders you will need to reach your sales goal. For our example, that number would be 7000, or about 19 orders each day. Let’s realistically assume that 19 orders per day come from a conversion rate of 2%. That means you will need around 960 daily visitors if you are going to have 19 orders each day. These numbers will show you how much time you need to spend on generating traffic and can help you set attainable and measurable goals. Once you’ve decided on the amount of traffic you’re shooting for, make sure your Google Analytics setup is giving you accurate data about all of your websites (including microsites) and isn’t duplicating visitors. You’ll also want to set up goals for specific events, such as when a customer adds items to their cart, signs up for your email list or completes a checkout. It’s better to set up this tracking early before launching your new strategy–otherwise you won’t know whether or not your new strategy worked! Search engines are (or should be) one of the biggest sources of your traffic. Now, it’s time to milk them for all they’re worth. Search Engine Optimization (SEO) should be a main focus to drive organic traffic to your site. Whether or not you have just launched your ecommerce store, you should make a habit of reviewing each page and product on your site. To do this, you need to start an SEO audit. Enter your URL on an SEO tool like WooRank, and start an Advanced Review. You can add up to three competitors here to take your SEO up a notch. Add keywords you want to track in the Keyword Tool, and choose the location where you want to focus on. In the keyword tool, you will be able to see the volume and rank for each keyword and how you are doing against your competition. There are plenty of free keyword research tools available if you aren’t sure which ones you should be targeting. Now that you have chosen your keywords to use for optimization efforts, you should make sure you are using them in a consistent and natural way. Using them in your title tags, meta descriptions and body content will help you become more visible to your target audience. To really optimize your keyword strategy, I recommend setting up site-search tracking to see what visitors are searching for on your site and also monitoring how keywords convert on your site by adding Search Console to your Google Analytics account before moving onto the next step. Even for an ecommerce site, it is essential to have useful, relevant and authoritative content. Of course, it is critical to have product images, but product descriptions will really help you boost your traffic. With product descriptions, you can weave in the keywords you can easily rank for that can also drive conversions. It’s actually easier to rank higher for long tail, localized keywords that will align with your visitors’ search queries. If you are selling garden supplies and you can rank highly for “planter for tomatoes”, the produce descriptions should use “planter for tomatoes”. Include that phrase in the title, as well. The product images need to be clear and representative of the actual product you are selling. Don’t forget to include the alt text with every image you use. This should go without saying, but don’t use images you downloaded from the internet that aren’t pictures of what you are actually selling. Also, you can create content like product reviews or comparisons of different brands and models that are optimized for “planter for tomatoes”. You can experiment with other types of content on social media, like videos, that can help you rank highly on search results. Videos related to the product that can also be embedded on your site is another easy way to incorporate your keywords in your content. In terms of brand engagement, Instagram is one of the best platforms. There is a whopping 25% more engagement on Instagram compared to other social media platforms. Also, studies show that nearly 25% of online shoppers are influenced by social media recommendations. In order to tap into the influencer market, you need to find the people who are willing to feature your products to their many followers. Finding those people, though, is easier said than done. A tool like WEBSTA can help you find the most popular Instagram hashtags and accounts. Once you find the influencer with a substantial amount of followers that aligns with your general category, you can contact him or her and ask for your product to be featured. Let’s be honest: everyone loves a good freebie. Does your site have a gift that your customers will find worthwhile? Use your social media profiles, your website and your influencers to get the word out that you are having a contest for free goodies. If your potential customers think your gift is valuable, they will share it with their friends and families. The only con to this strategy is attracting people who are only interested in free stuff. These users will likely never convert to customers, so use this option only when it makes sense for your brand. Search Engine Land noted that 88% of shoppers trust reviews they read online. You can encourage your users to leave reviews on your website and social media accounts. Reviews will help you rank higher in search results, and users are more likely to click on your site/social media pages. At least 43% of ecommerce traffic, on average, comes from Google search (organic). But, more than a quarter of traffic is coming from Google AdWords, according to Wolfgang Digital. So, it’s important to have both your SEO and PPC set up correctly. As mentioned above, during your keyword research find the keyword your audience uses most, like “tomato planters”. This includes the long tail keywords, too, like “best planters for tomatoes”. Now, run a PPC campaign including both keywords. Primary keywords will generate more traffic, while long tail keywords will drive less traffic but higher conversion rates. To increase conversions even more, you can link your AdWords account to your Analytics account, then use Buyer Personas for specific marketing channels to target those users that are more likely to spend money on your site. So, are you ready for real growth? 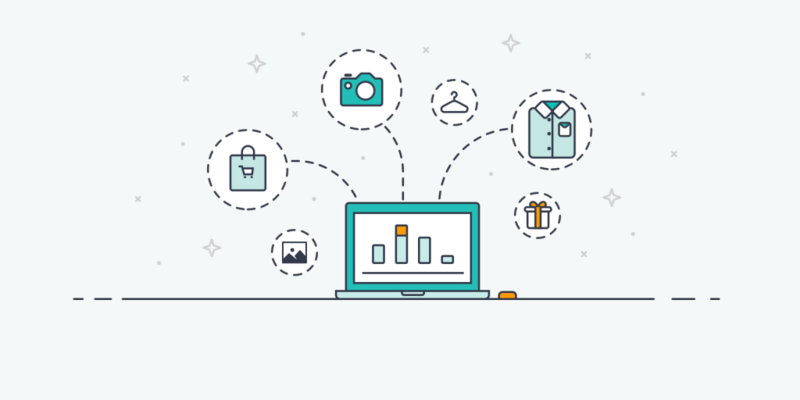 Bringing traffic to your ecommerce sites all starts with setting a clearly-defined goal. You need to know where your existing traffic is coming from, and optimize all of your platforms for your visitors and search engine bots. Incorporating other strategies, when done correctly, will help you bring more eyes to your site. Contests and PPC advertising are great ways to get your product in front of your target audience. I hope this guide helps take your online store to the next level! Courtney McGhee is on the Marketing Team at WooRank, an SEO audit tool that has helped millions of websites with their SEO efforts. A former journalist in North Carolina, Courtney shifted gears and entered the digital marketing world in Brussels, Belgium.